Simplicity is not always a bad thing. In the Duke's Vest, simplicity is an advantage that is almost unbeatable. This sleekly-styled vest is not meant only for antiquated styles of clothing. It can be used in countless other ways to great effect. The vest is made from two materials. The front is constructed from attractive cotton twill while the back is made from satin. The interior of the vest is fully-lined, and the vest itself comes in a variety of appealing colors. Being a vest, this garment is completely sleeveless. When worn properly, it should be approximately waist-length. 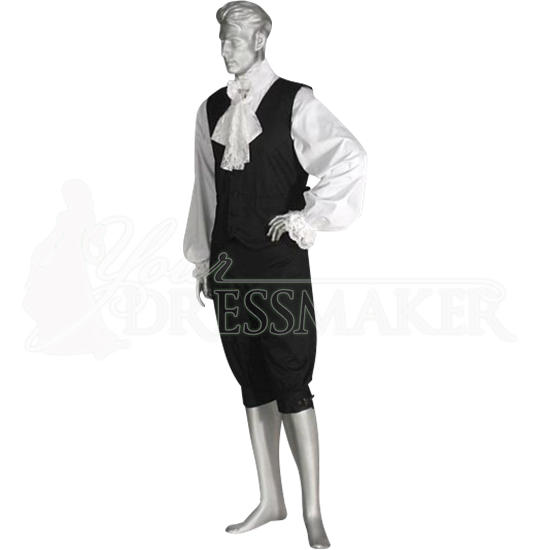 This vest fastens via buttons in the front, and features a belted fastener in the back, which allows the garment to be fitted snugly and properly around the waist. 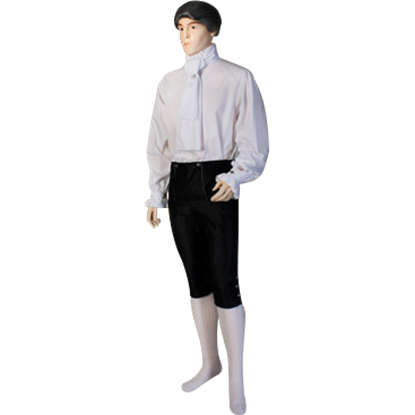 The vest is pictured here worn with a decorative white shirt and a pair of knee-breeches, which are not included. Once you include the Duke's Vest into your wardrobe, you will find it quickly becomes a well-used and well-loved staple. It can be masterfully woven into dozens upon dozens of looks with startling ease. 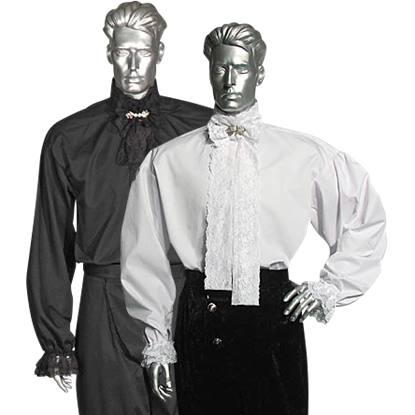 It can be Steampunk, Victorian, Renaissance, and even Modern, when the occasion calls for it. What more could be needed then a vest that can do it all? 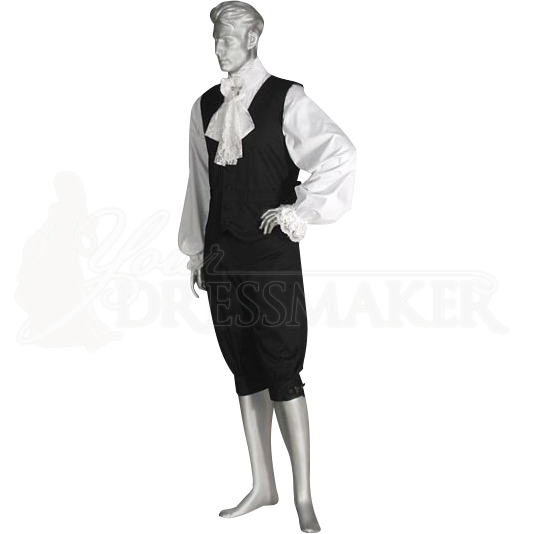 Our Custom Baroque Renaissance Gown is a two piece dress ensemble consisting of a bodice and skirt. 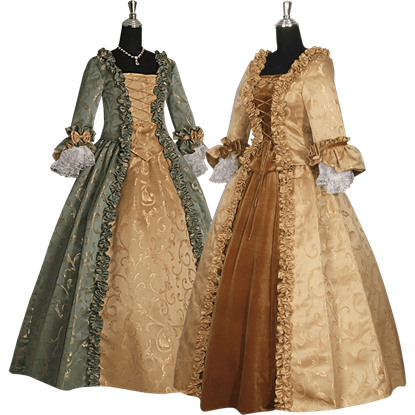 The bodice and skirt are made of a high quality baroque brocade fabric with an inner panel in your choice of fabric. 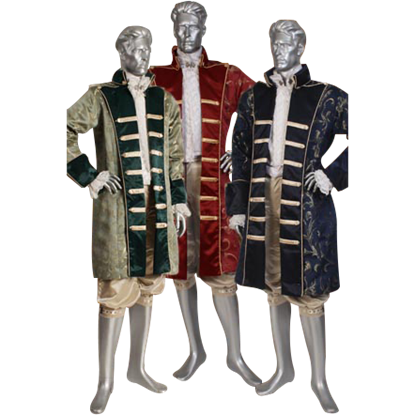 The Baroque Imperial Jacket is an elaborate and attractive jacket that best emulates the high style and fashion of nobility and royalty. This jacket is made from quality materials and is a beautifully decorated symbol of status.